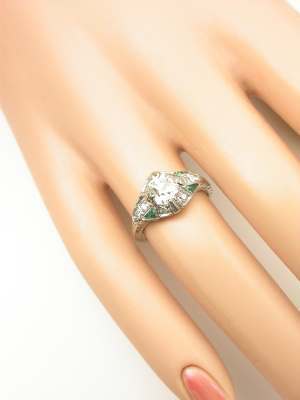 Antique rings like this one are made for romantic proposals in faraway places. 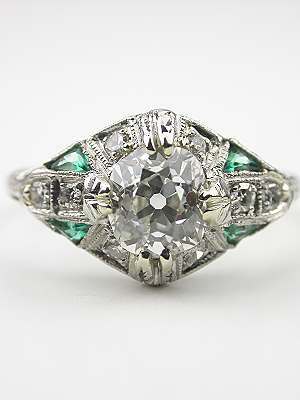 An antique platinum mounting with an engraved wheat design holds a double-prong-set GIA certified old mine cut diamond in this antique ring. 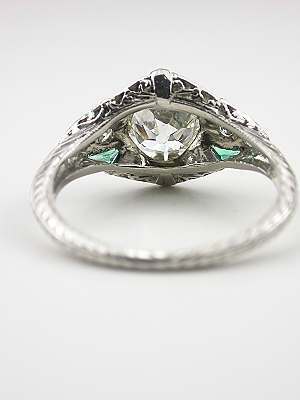 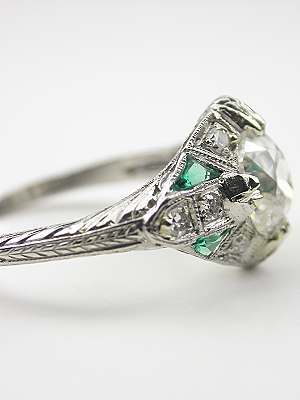 Triangular step cut emeralds add a bit of color and single cut diamonds add glitter to antique rings like this one. 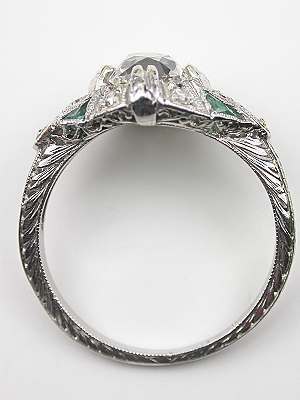 The low profile design hugs the finger and wraps it in filigreed platinum. 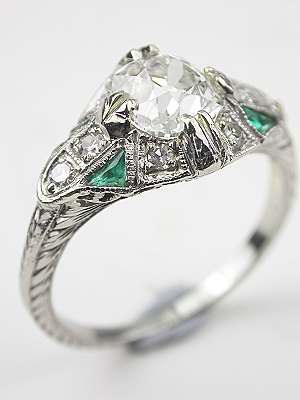 This outstanding antique engagement ring is circa 1925. 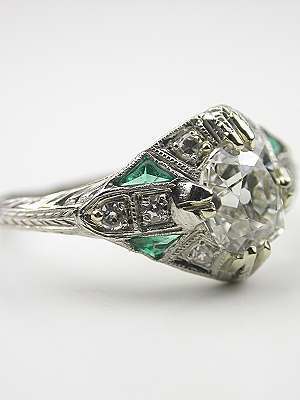 Diamond other info Your purchase includes GIA Diamond Dossier report# 2101606496.